The classics are great, but there are some new kids on the block. All of these games can be played with one other person, like your spouse, or with your whole family. Let me Introduce new games that your FAMILY WILL LOVE!!! This game is MY FAVORITE. There are times when the games our kids love, are boring to us. Not this one. It is fun for me too. I actually ask our kids if they will play with me. Our kids can play at 3 years old. It makes them think and teaches valuable problem solving skills. They have a regular version (minus the Junior) that works for adults and older children. You won't regret adding this to your collection. This game has a Trivial Pursuit feel to it. You get a list of things and have to put them in the correct order to move ahead. Players sort things according to weight, time, speed etc. Everyone plays on every turn and the topics are really varied so there is something for everyone. Plus, you learn really cool facts along the way. Our son loves interesting and new facts. This game is right up his alley. 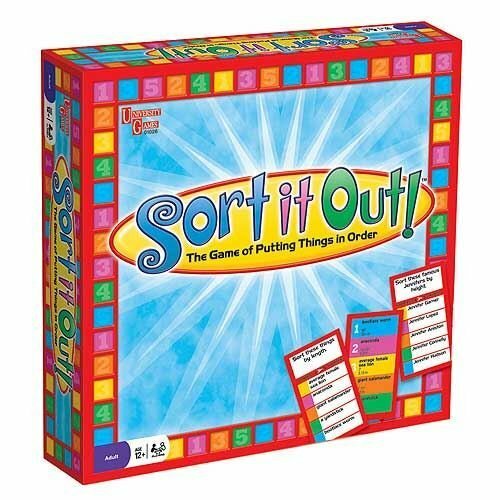 If you like Sorry, you will love this game. 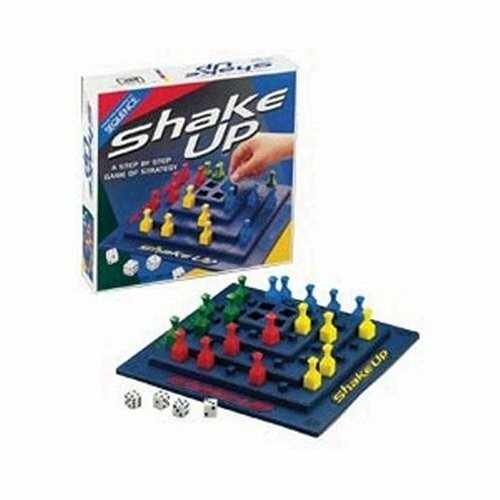 In Shake Up you drop colored pieces into the holes designated as safe zones. How far up the tower you go, depends on which numbers you role. The rules are very easy to understand and the game is not expensive which is always a plus. Our 5 year old can play this with ease. Run Wild is a fast paced, challenging and imaginative card game that any age will love. With very simple rules, your youngest children can join in. Everyone plays at the same time to make matching sets. The player to get rid of their hand first, wins. 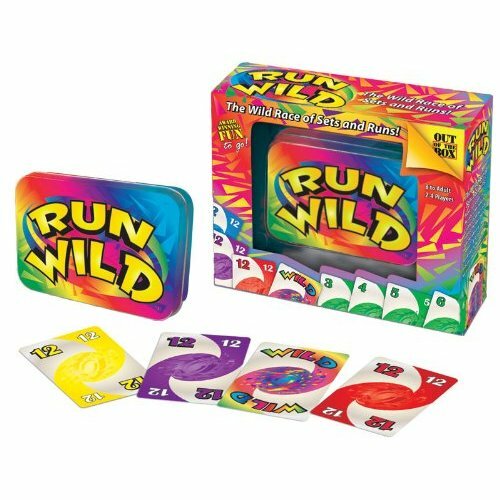 If you like UNO, you will like Run Wild. Growing up I had a favorite game. Clue. I could play it over and over. I can still see the small envelope that held the "mystery cards". We used to tuck it under the side of the board game so no one could peak. Do you like Clue? 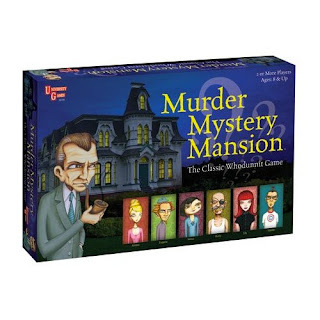 You will love Murder Mystery Mansion. In this game a team stages a crime to be solved. As you go along, you will learn how many elements you have gotten right (3 out of 4), but you don't learn which 3 are correct. It is a blast. And there are 4 categories to solve. Murderer, method, location and motive. The first time I saw this game I immediately thought Scrabble. And rightly so. 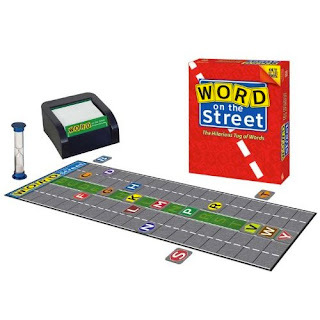 If you enjoy Scrabble you will love Word on the Street. In this game you use tiles to spell words that fit categories. But, watch out, other players can steal your letters. This game improves your vocabulary and spelling. Not to mention it is really fun. 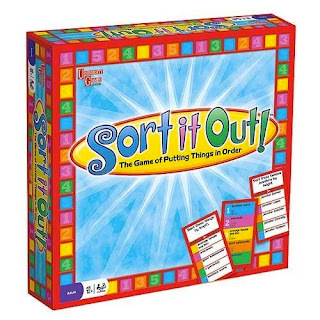 Perfect for a couple once the kids have gone to bed, or for you family to gather around for family game night. They also have a junior version. When I was pregnant with our son, my dad told me about a study he had read about kids and chess. The findings soundly showed that there were great benefits to teaching kids the game of chess (problem solving, deductive reasoning, math skills, confidence, the list goes on.) I decided that our son would learn, as well as all our other children. Unfortunately I barely knew how to play. How would I teach our son? My dad said he would teach him when he was old enough. That was great, except at the time, my parents didn't live in the same state as us. They came to visit often, and when our son turned three the informal lessons began. The only problem, our son wanted to learn faster, and he wanted to play with me during the day when my dad wasn't in town. I needed to learn. Enter Wonder Chess. This chess game has plastic pieces with removable bottoms. You hide little treats or stickers inside each one and when you "take" that piece you get to have the surprise. We filled them with Skittles. The treats were fun, but the best part was the instruction manual. It is so straight forward, fun, and easy to understand. The diagrams perfectly explain how each piece moves and there are plenty of sample situations to help you learn. Broken down into 10 lessons, my son and I learned to play chess in 7 days. The findings from the study were absolutely right. Since then we play at least once a week. 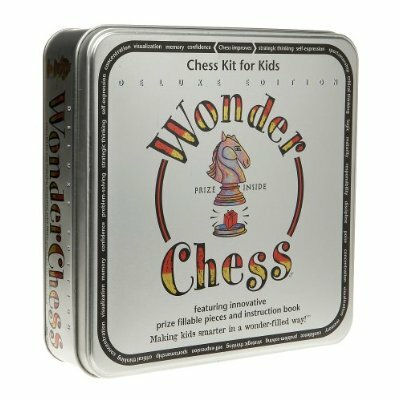 If you want to teach your kids to play chess, this is the perfect game for you. Pick a night of the week and designate it as Family Game Night. You will love the unity it brings to your family. Not to mention the memories. I love Gobblit! 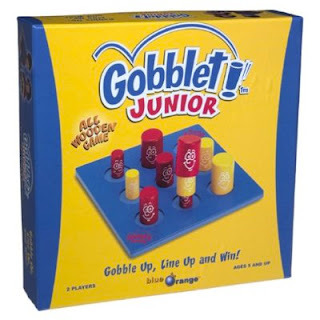 I didn't know they have a Junior version, I play the regular version with my 4 and 6 year old they love it. I'll have to check out these other choices, thanks for the post! Excellent suggestions. We love Sequence Jr in our house (and regular Sequence for us big folk)!